Is This Why Aurora Cannabis and Coca-Cola Never Reached a Deal? The marijuana industry is chock-full of excitement, and the recent performance of pot stocks proves this. Through this past Wednesday, March 20, the Horizons Marijuana Life Sciences ETF, the very first publicly traded cannabis exchange-traded fund, had gained 67% year to date, effectively blowing all other industries and the broad-based S&P 500 out of the water. It's also a dynamic industry that's undergoing plenty of changes. We've begun to see quite a bit of consolidation throughout the industry in an effort to reduce long-term costs and improve market share. This consolidation has been most present among Canadian pot growers and vertically integrated dispensary operators in the United States. The added production from these purchases, along with organic projects such as Aurora Sky and Aurora Sun and partnerships (e.g., Aurora Nordic) are what have helped push Aurora to the top of the pecking order when it comes to marijuana yield. As a leading producer, Aurora should have little trouble landing lucrative long-term supply deals within Canada and would seemingly be a logical candidate to secure partnerships. And yet, something is missing with what's otherwise been a well-received strategy with investors -- namely, Aurora Cannabis has yet to land itself a brand-name partner in the food, beverage, tobacco, or pharmaceutical industry. Primary rival Canopy Growth closed a $4 billion equity investment from Modelo and Corona beer-maker Constellation Brands in November -- Constellation's third separate investment into Canopy -- while Cronos Group completed a $1.8 billion equity investment from tobacco giant Altria this month. To be clear, Aurora Cannabis has had its opportunities. It was reported by BNN Bloomberg in September that Coca-Cola (NYSE: KO) and Aurora were in executive-level discussions about a possible partnership or equity investment. Coca-Cola's soda product sales have been waning in North America for some time, and partnering with Aurora Cannabis could set it up to succeed when Health Canada approves alternative consumption options, such as nonalcoholic cannabis-infused beverages, by this coming fall. With Aurora's knowledge of cannabis and its superior production, coupled with Coke's deep pockets and marketing expertise, a combination would appear to make a lot of sense. But as we all know, Coca-Cola and Aurora couldn't come to amicable agreement. The beverage giant has instead been watching the cannabis industry develop from the safety of the sidelines. Is this why Coke and Aurora's budding partnership fizzled out? How, exactly, does Aurora Cannabis let perhaps the best-known beverage maker walk away from even casual talks without a deal? While no one aside from the executives of both companies knows that answer with any certainty, I can venture an educated guess. My suspicion is that Coca-Cola was gun-shy about making an investment into Aurora Cannabis because of the company's growth-by-acquisition strategy. Prior to the legalization of adult-use weed in Canada this past October, most pot stocks had their hands tied when it came to raising capital. With non-dilutive offerings from banks mostly off the table, marijuana stocks like Aurora Cannabis frequently turned to bought-deal offerings to raise money. In Aurora's case, it would use its common stock as the collateral needed to complete acquisitions. For instance, its roughly $2 billion buyout of MedReleaf meant the issuance of more than 370 million shares, while the purchase of CanniMed saw close to 73 million shares issued. Why does this matter? The simple answer is that, if Coca-Cola were to make an investment into Aurora Cannabis, which is possibly something Aurora's management was pushing for, its equity stake in the company would continually be diluted by Aurora's growth-at-any-cost strategy. We've already witnessed the company's stock drastically underperform in relation to its market-cap growth as a result of share-based dilution, and it may very well have been the linchpin that also drove Coca-Cola away back in September. Of course, plenty of hope for dealmaking remains. Just last week, Aurora Cannabis announced that it had hired billionaire Nelson Peltz, the founder of Trian Fund Management, to be the company's strategic advisor. This role will have Peltz seeking out partnership opportunities for the company, as well as advising Aurora on its international expansion. What made this announcement so special is that Peltz's expertise in unlocking shareholder value as an activist investor while heading Trian is in the food and beverage space. 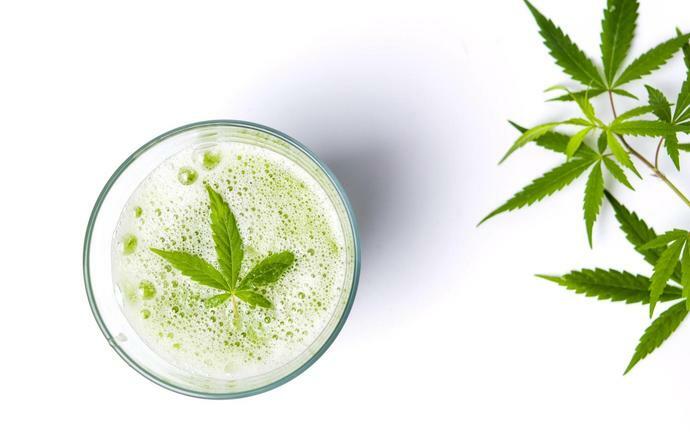 Aurora has made no secret that it wants to expand its product portfolio and enter the cannabidiol-infused beverage space. Presumably, Peltz should be able to find suitable partners and help orchestrate a partnership and/or equity investment with a brand-name company in the food or beverage industry. This would mean names like Coca-Cola, PepsiCo, and Mondelez International are potentially on the table as partners. Personally, I'd be shocked if the calendar year came to a close and Aurora had yet to land a partnership with a well-known company. But as long as Aurora continues to utilize its common stock as a means to grow inorganically, snagging an equity investment similar to Canopy Growth's and Cronos' could be a lot tougher to come by.